The new Archos Bluetooth keyboard for the iPad is tantalizingly close to awesome, which is part of what also makes it so frustratingly far from awesome. First the good things. The Archos is super lightweight and almost paper thin. 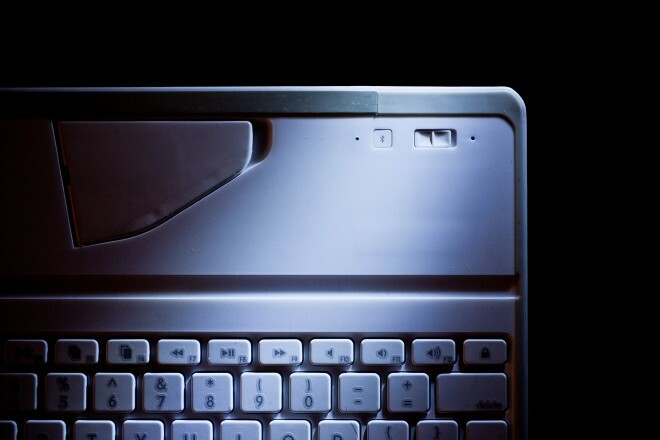 At a mere five millimeters thick and weighing only half a pound, it’s considerably thinner and lighter than what I would consider the best iPad keyboard currently available, the Logitech Ultrathin Keyboard Cover. Despite its svelte profile, the Archos feels sturdy, and thanks to the aluminum backing, it doesn’t flex and bend the way plastic backings might. The model I tested displayed some minor warping that caused it to pull off the iPad by just a hair when used as a cover, but that may well have been a problem with this individual tester. Like most of its brethren, the Archos has a magnetic groove which neatly anchors the iPad in both horizontal and vertical orientations. But since the iPad only has magnets on its long edge, the vertical orientation is obviously less secure and makes the iPad prone to tumbling off your knees should you jostle it. 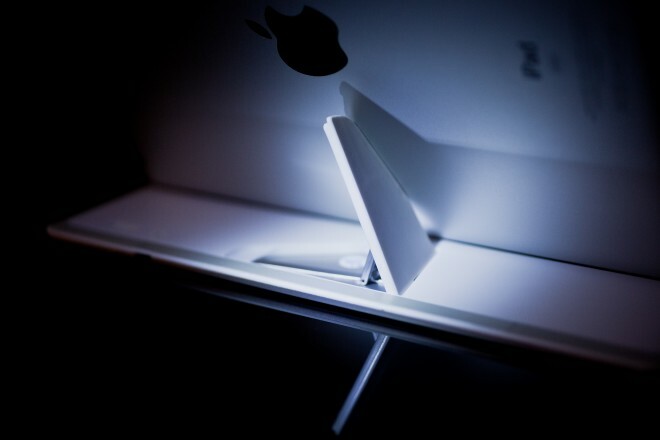 Its main claim to fame, or at least the feature that would help it beat the Logitech, is the adjustable kickstand which allows you to vary the angle the iPad sits at, meaning you can change the angle to best fit your current situation. It’s a nice idea, but in practice, it’s fraught with problems. Even if the little kickstand did function as intended, it really only lets you change the angle a few degrees. Worse, though, is that the kickstand simply doesn’t lock into place. More than once, it outright collapsed out of the blue, dumping my iPad on the table. I ended up using the Archos exclusively with the kickstand fully extended at its most secure position, which offers a viewing angle more or less identical to the Logitech. Despite a few nagging problems and the general failure of the kickstand’s promise, the Archos is still a wonderfully thin and light keyboard that fits the iPad like a glove. I would have no problem recommending it over the Logitech if it weren’t for the three major problems with the most important part of the device — the actual keyboard. The Archos offers a “full QWERTY keyboard,” but unfortunately it offers it at about a 75 percent scale. I have pretty thin fingers, and I still struggled to hit the Archos’ keys with any accuracy. I put the keyboard next to my old Asus Eee PC and the netbook’s keyboard looked positively giant. The Archos is definitely not for the fat-fingered crowd. As if the tiny keys weren’t problematic enough, Archos has made some exceedingly strange decisions about keyboard layout. The return key is only one key space wide (though it is raised to double height) and requires considerably more finger stretching than any other keyboard I’ve ever used. The right shift key is similarly tiny (the same size as any letter key) and tucked away at the edge of the keyboard. Typing on the Archos for any length of time reminded me of the finger stretching strangeness and frustration I experienced the first time I tried to master emacs’ curious keyboard shortcut chords. But the single worst design flaw in the Archos is the spacebar. 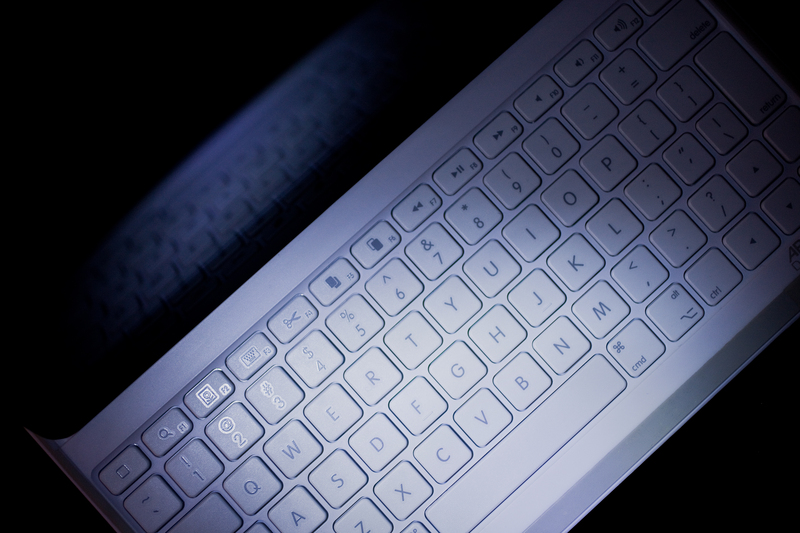 The keyboard is recessed to allow it to fit flush against the iPad screen without the keys touching the glass. However, unlike most iPad keyboards I’ve used, the Archos does not cut away the lip around the spacebar, which means you have to press down past the flush point into the recess. Itoftencauses wordsandphrases to accidentallyruntogether (this is thankfully mitigated somewhat by iOS’ auto-correct, but it’s annoying nonetheless). All of the quirks are things you can train yourself to handle if you really really must have the tiny weight savings the Archos offers. Indeed, I grew used to all the quirks (save the spacebar problem), and only ever noticed how painfully slow I typed on the Archos when I would pick up my laptop. I wanted to love the Archos. 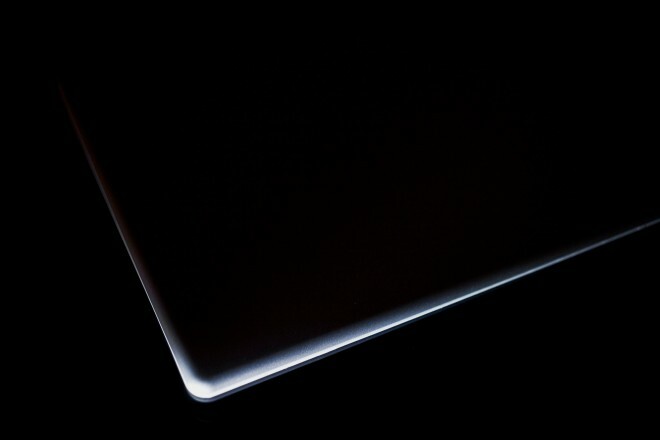 It is awesomely thin and light, while retaining a solid, sturdy feel. But for $80 you shouldn’t need to adjust to a keyboard’s shortcomings. Save your money on this one. WIRED Light. Just barely larger than Apple’s Smart Cover. Solid feel despite thin, light design. TIRED Poorly designed layout. Tiny, cramped keys make for difficult typing. Spacebar is infuriating for the first ten hours or so.